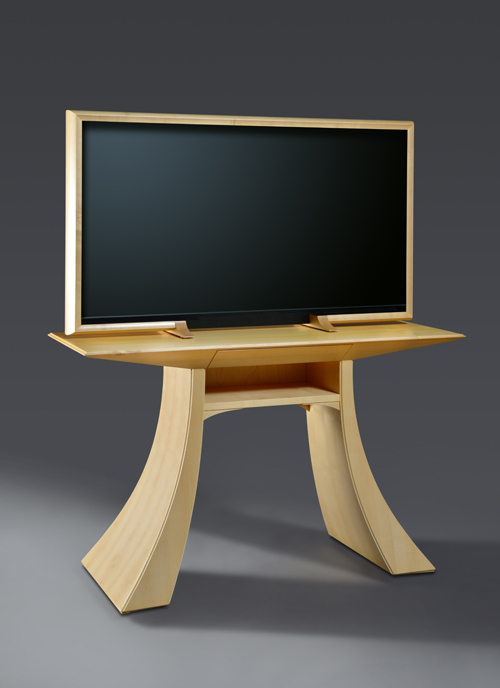 Sized for a 54” flat screen, this piece features a drawer to house remotes or other small items, a shelf for your cable box/dvd/blueray units and a wire chase concealed in the leg to maintain the beauty of the lines. 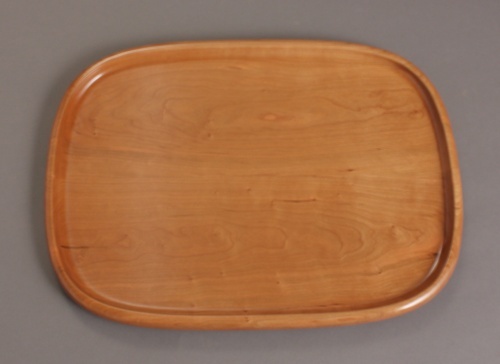 Fabricated in maple solids and veneers. 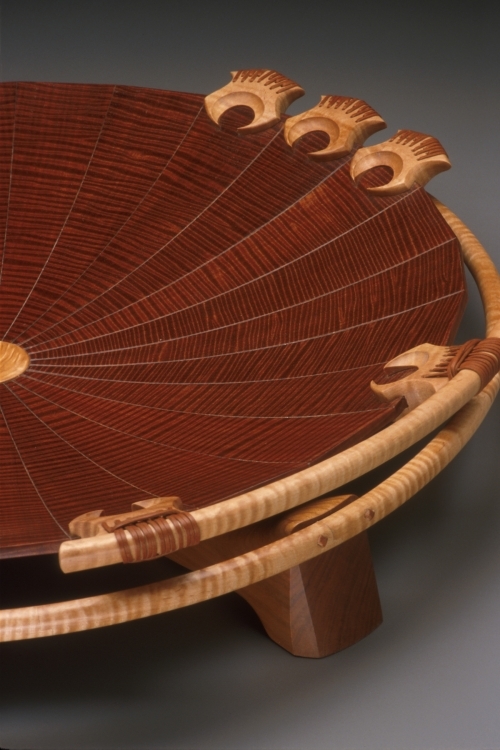 Inspired by an African basket in the collection of a patron, Kurt sought to develop the techniques required to fabricate this shape in wood. Fiddleback makore veneer were applied to bending plywood, with a center disc of crotch maple. 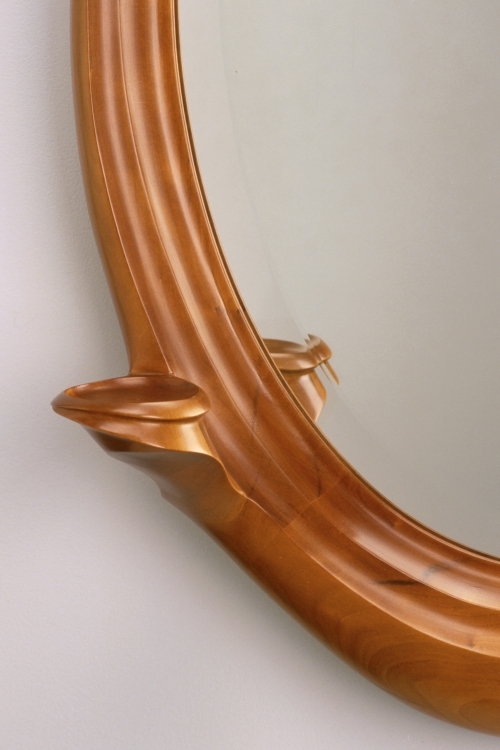 This wall mirror has styling evocative of the Art Nouveau period, with flowing lines and graceful curves. Shown here in cherry, it is also available in white oak, walnut and other woods as requested by the client. 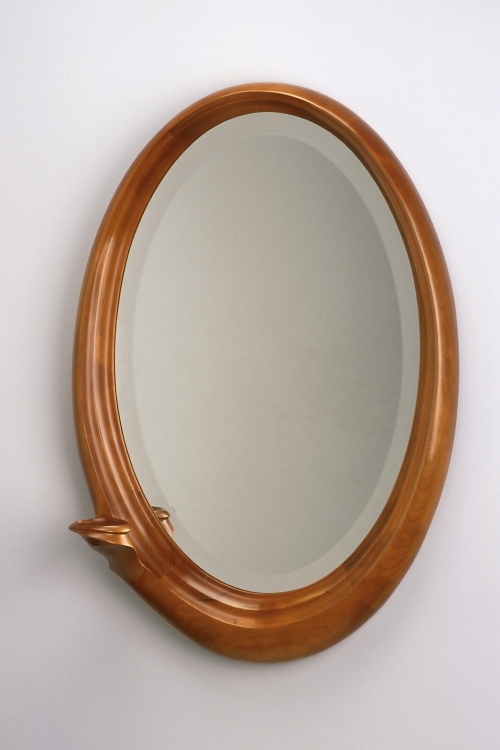 The oval beveled mirror offers a more than adequate area of view for the user. The cup provides a location for earrings, other jewelry, a votive candle or any small item desired to be close at hand. 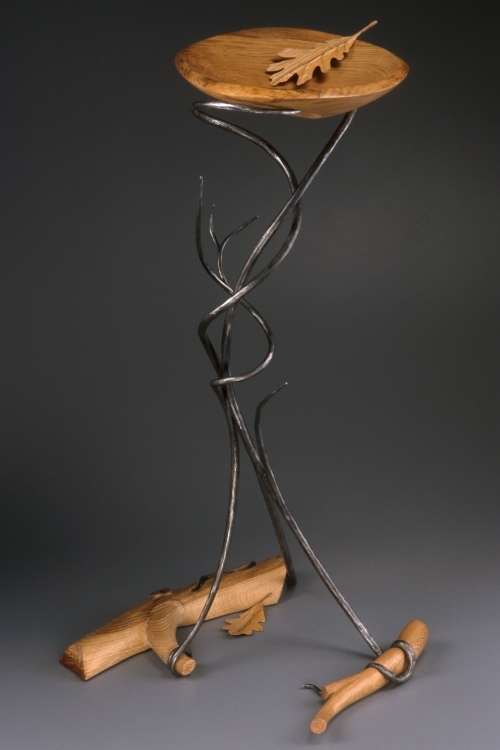 Hand-forged by Kurt, the base for this “beautiful and useful” piece has the organic lines of a natural vine. 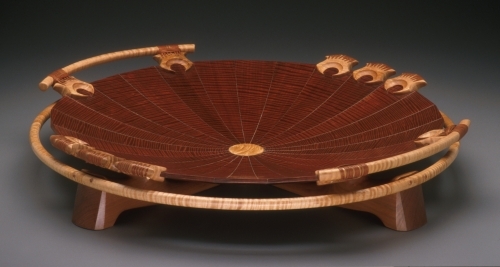 The base and bowl are of white oak, capable of resisting the elements. 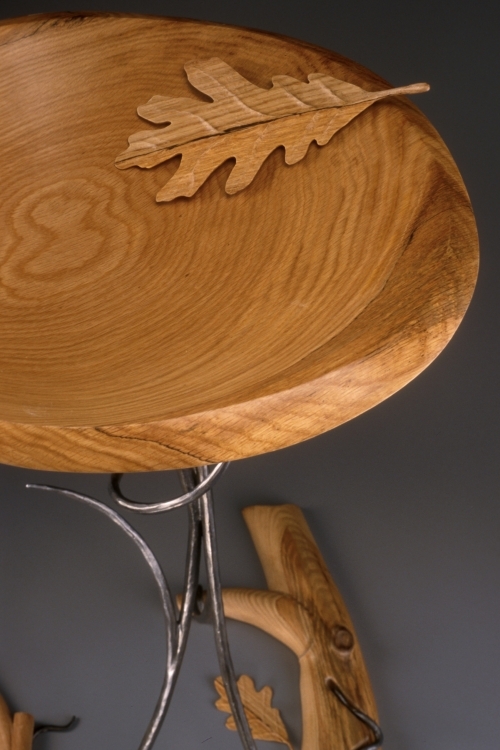 The feet of the piece are shaped as oak branches, entwined by the vine, which reaches up to cradle the detachable bowl. Carved leaves serve as accents. The artist envisioned this for a porch, where it would stand ready for use to hold vegetables or herbs picked from the owner’s garden. 37"h x 17"w x 18"d overall. A long-time client approached us about making a version of his favorite game worthy of continuous display. 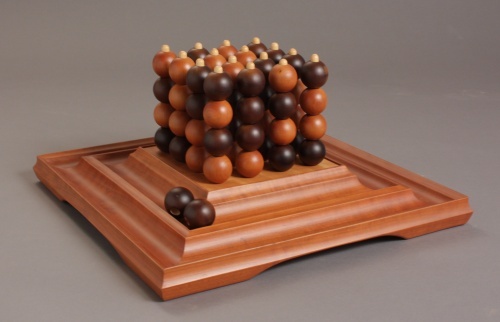 Cherry and stained maple game pieces rest on maple pegs and the cherry base offers sculptural storage for the game balls when not in use.